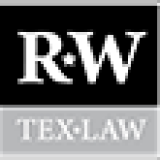 Texas Law and related articles. 19 April 2019 What degree of impact will divorce have on your credit score? 19 April 2019 Useful Forgetfulness and Study Tools/Outlines: Could There Be Too Much of a Good Thing?